Patent legal information reorganized for a simplified and more efficient reading. Questel has always attached great importance to patent legal status information and has always endeavored to make it as complete and up-to-date as possible. In the past, this critical information was quite difficult to read and time consuming to browse. The following screenshot illustrates the problem. For the above reasons, the presentation of patent legal status information has been completely redesigned to make patent information users’ life easier and their work more productive. 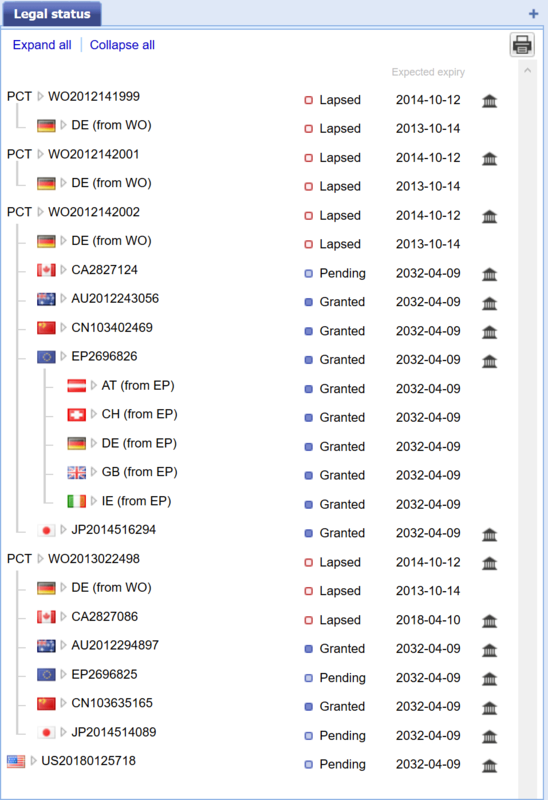 Patent legal status is now synthetically organized to better reflect a patent family’s WO (PCT) and EP member states, whether published or not. 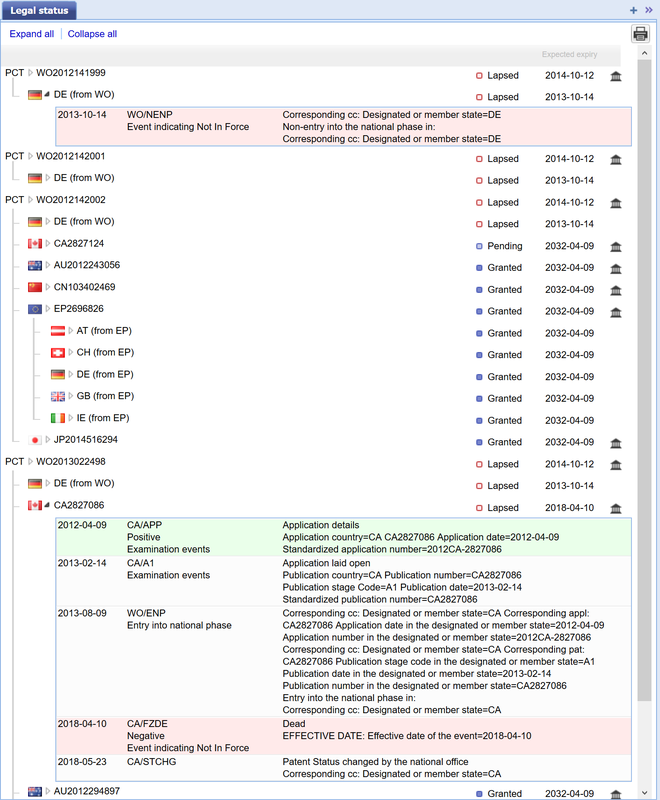 Each member’s legal state is provided together with a tag indicating if it is pending, granted, lapsed, expired or revoked. More detailed information about each family member’s legal status can be expanded with a simple mouse click, as show below. 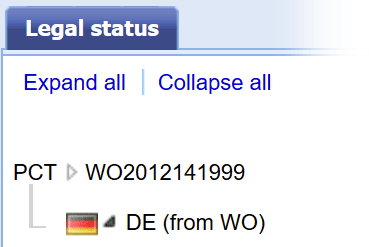 Legal status information link to countries where we don’t yet have a publication are shown indented below the associated published parent application with the suffix (from EP) or (from WO). These countries do not have their own patent numbers but associated legal status information is available from the parent application. The “Expand all” option at the top left makes it possible to display all the details for each family members, and the “Collapse all” option brings it back to its synthetic view. As usual, the “Court” icon on the right of each family member offers a direct link to the corresponding patent office’s register information, for coherence control purpose.